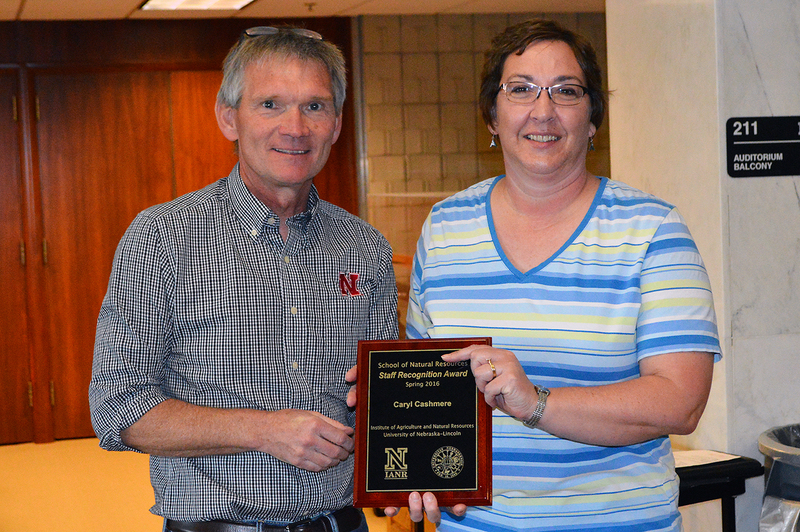 Caryl Cashmere, SNR Nebraska Cooperative Fish & Wildlife Research Unit office associate, received the spring 2016 SNR Staff Recognition Award. She was presented with the award at the annual SNR Spring Potluck on April 13. The SNR Staff Advisory and Professional Development Committee (SAPDC) is charged with coordinating the SNR Staff Recognition Award. The awards are presented at the SNR Spring Potluck and Holiday Party/December Potluck.